I will warn all you lovely Americans and friends overseas that I am from Canada, and I have learned over the last few months that apparently we live in a hole where people do not ship to. That being said, this is for all you Canadian blog readers and for those Americans and few lucky ones who actually have access to these establiments! Lets dive right in! Some say I'm a tad bit obsessed, and it may be the truth. Our bed, living room chairs and kitchen chairs are all from Structube and we could not be happier. Those chairs are risiliant and with two wild Chunks like ours, being good quality is IMPORTANT PEOPLE! Our bed I could not be happier with - great quality and amazing colour! I highly recommend. Some people come over and are shocked to find not a stain on our living room chairs and are shocked since they are such a light colour. Again, great quality and I highly recommend thier items! We have many Ikea pieces scattered throughout this house. 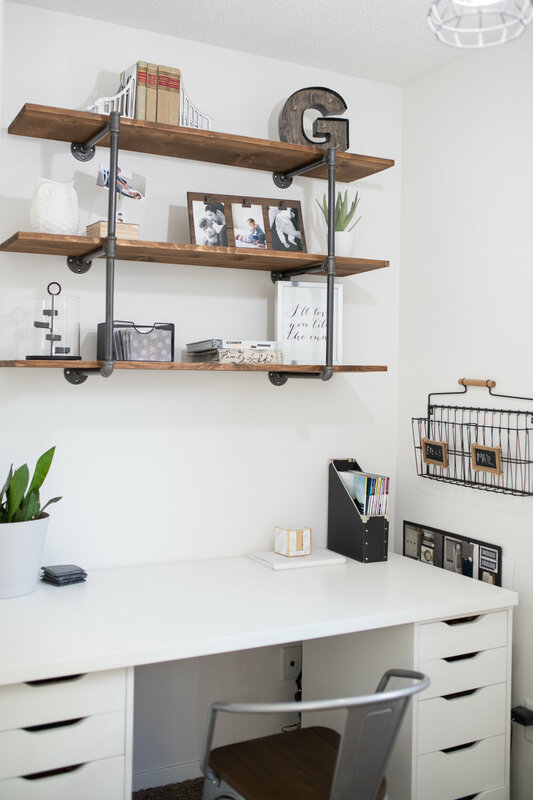 It is not my favourite store, but it definitely has great prices, and has some items that can be staged and changed to look more modern and higher quality! And again - the price is right! This one is a newer one for me as H&M Canada just started shipping (oh Canada) and we only have one even remotely close to us and its 3 hours away! BUT... it's a good one! Jackson's Batman bedding is from their line and they have the cutest accessories for all seasons! They have by far the cutest kids room decor I've come across and again - great prices! Jackson's bedding was under $35! If you're Canadian, you know these places already. Duh. But a must mention! I believe in the states they are affiliated with TJ Maxx or something but basically the same idea! You can find amazing one off items and some VERY INEXPENSIVE GEMS! Yes, I went here. I know, I am super lame and cheesy, but as I look around my home I can't help but love the work that my talented hubby has put into this home! He built all the shelving on the chalkboard wall, refinished the mantle in the living room, painted our kitchen cabinets, built the tech room industrial shelving and the list goes on! Here are just a few furniture\decor items he built!